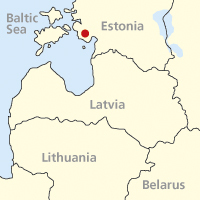 The most northerly of the Baltic states, Estonia has as much in common with Scandinavia as its neighbours to the south. It’s a sophisticated, western-looking country that prides itself on its WiFi and internet use, and the end of the Soviet era in 1991 feels distant. 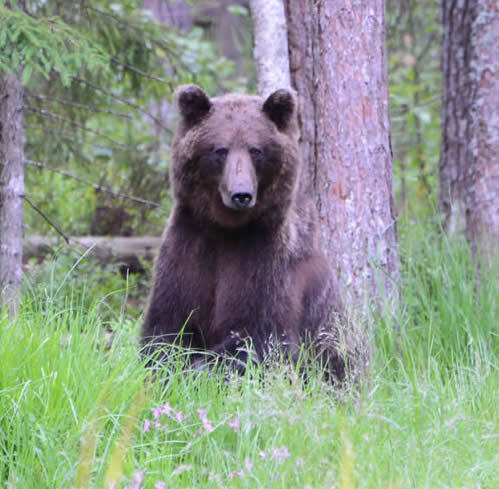 More importantly, Estonia has an attractive mix of wildlife habitats including grassland, hay meadows, pine forest and coast, plus the chance to see mammals, including brown bear. The botanical richness may come as a surprise for a country as far north as the Orkneys. Thin soils over limestone bedrock support flower-rich swards mixed with juniper scrub. Elsewhere, wooded meadows are a special habitat: orchids, meadow rattle and cow-wheats in hay pastures under old oak trees. The gentle coastline of the Baltic features strongly. Its scarcely tidal and semi-saline conditions sometimes makes it seem more like a large lake with mute swans and freshwater ducks like gadwalls and tufted ducks, as well as eiders, mergansers and Arctic terns. Inland, cranes are a routine part of the scene, small groups in fields or their evocative bugling calls alongside cuckoos and skylarks. Seeing bears on this holiday is more than likely, thanks to a hide run by our hosts, NaTourEst. This option is overnight: an early evening arrival, bunk beds and sleeping bags for rest and an early morning departure. 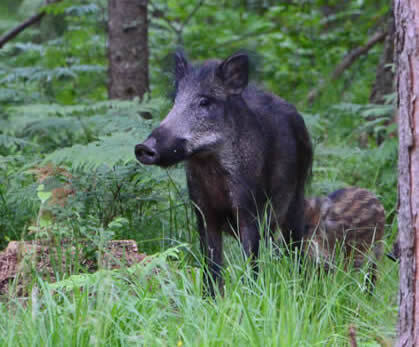 The rewards can also include wild boar, raccoon dogs and red squirrel. Our accommodation on this two-centre holiday is in former manor houses, and wildlife close to home is a lovely feature of these, including calling corncrakes. The western part of our itinerary (three nights) is in and around Matsalu National Park. 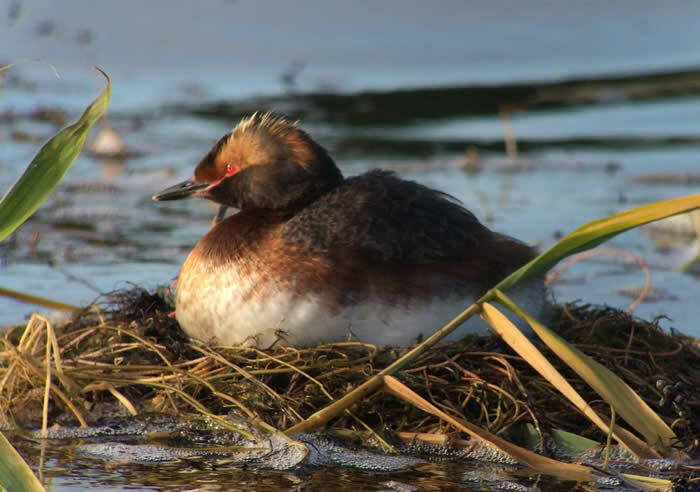 It includes a visit to Haapsalu where the town lake has nesting Slavonian grebes. East of Tallinn, our focus is on Lahemaa National Park (four nights), much of which is forest of Scots pine and spruce. Here and there, on old stumps or the woodland floor, are the tiny blooms of twinflowers. This unusual member of the honeysuckle family is a northern speciality, often growing alongside May lily. 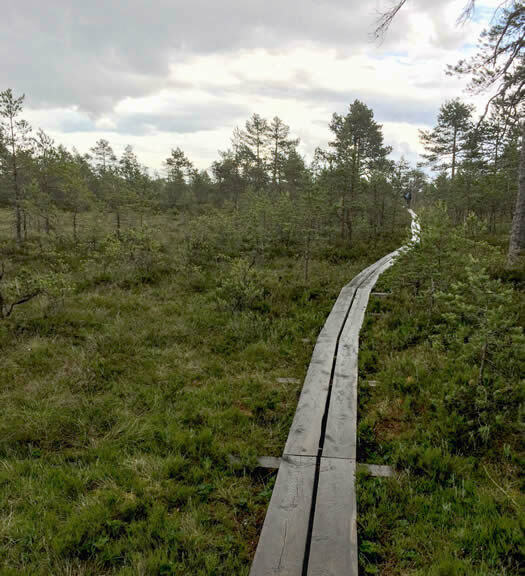 Our itinerary includes a boardwalk into taiga – an expanse of peatland with pools and scattered pines. This subarctic habitat has breeding waders and a distinctive flora. A visit to Tallinn is also planned, if flight times make it practical. Easterly species like scarlet rosefinch, Blyth’s reed warbler and thrush nightingale are frequent; spotted flycatchers are common, like England from decades ago. On our recce trip, a lake where we stayed had broods of both goldeneye and goosander. 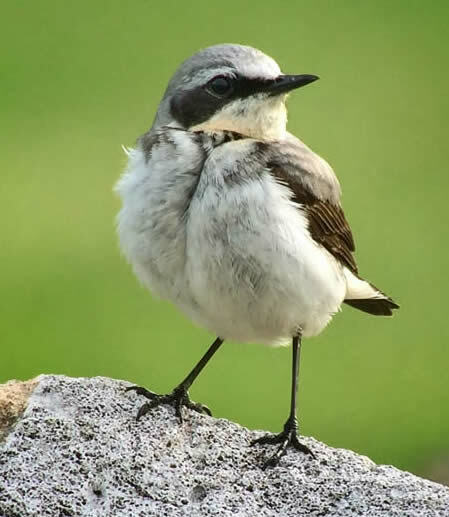 Wood warblers are common and wheatears and redstarts can be garden birds. A little effort (or luck) in woodland can turn up red-breasted and pied flycatchers and woodpeckers, including three-toed and black. There is a good chance of white-tailed eagles, little gulls and Caspian tern. 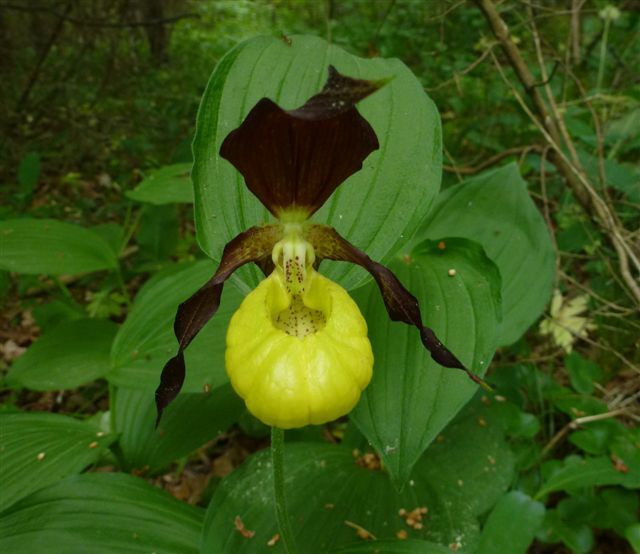 Flowers rare in the UK include spiked speedwell, greater burnet saxifrage and lady’s slipper orchids, the last in big clumps in open woodland. 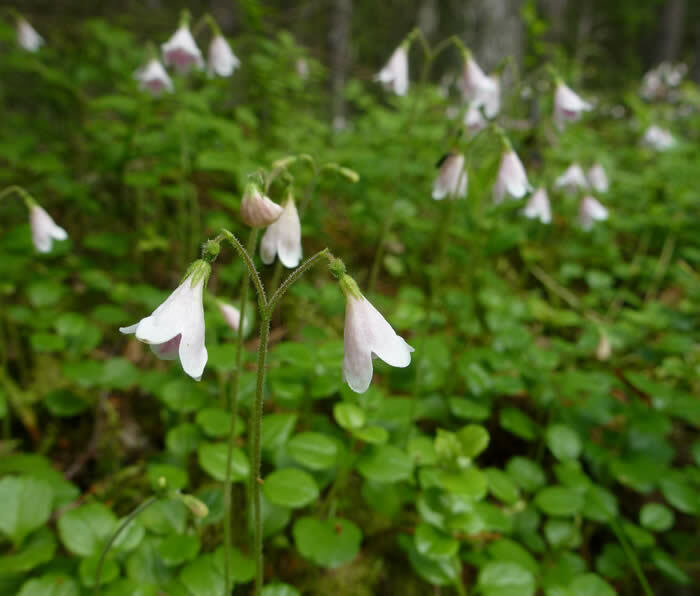 Taiga plants include dwarf birch, bog rosemary, Labrador tea and cloudberry. 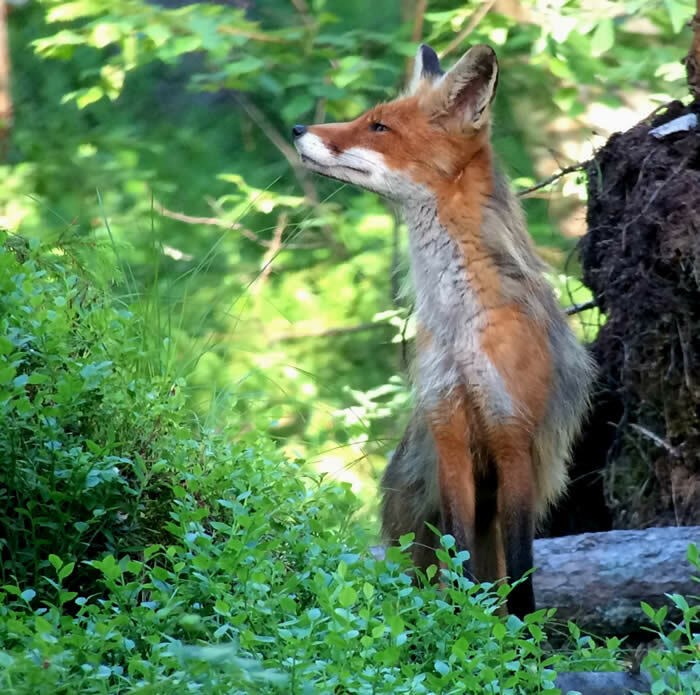 As well as mammals at the bear hide, we hope for a chance sighting of a pine marten or an elk – the latter surprisingly elusive, given their size. 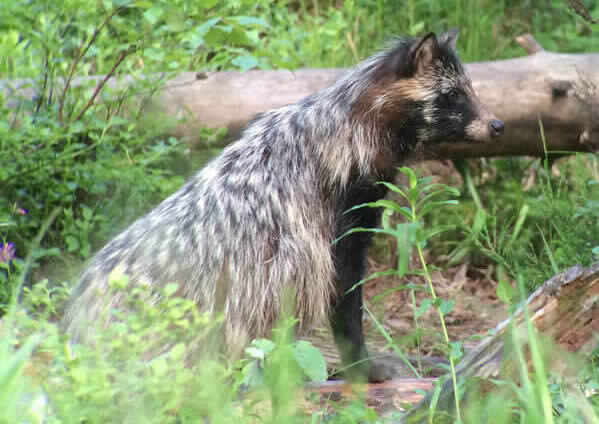 Mammals from the bear hide on the recce visit: raccoon dog, wild boar and fox. Brown bear - see right column. Price: £1,550 per person in twin room for a full week (Friday to Friday). Now summer flight schedules are available, we are bringing the dates forward to 7-14 June. 07 June: FR2225 depart London Stansted 06:45 arrive Tallinn 11:25. 14 June: FR2224 depart Tallinn 11:50 arrive Stansted 12:45. Rein Kuresoo is our main leader from our hosts NaTourEst, and we may also be joined by others from NaTourEst on occasions. 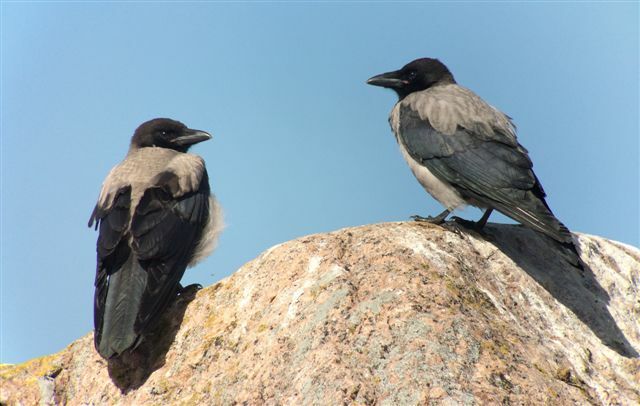 Rein is one of the leading naturalists in Estonia, and knows birds, flowers and ecology. He helped to establish the Estonian Fund for Nature: two national parks and several large protected areas were established in Estonia in 1991-95, proposed under his chairmanship. 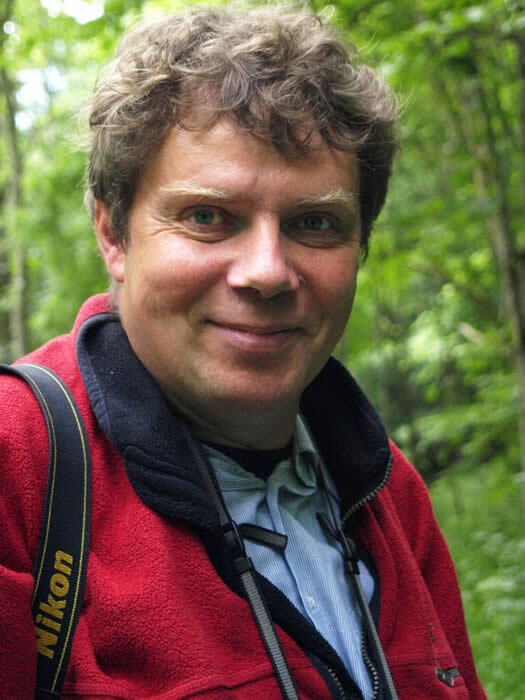 Rein has led bird, plant and general nature trips since 1989 and has written and illustrated books about nature and gardening, including several textbooks for schools. More about Rein and other NaTourEst guides here. Ivan Nethercoat is a regular and well-travelled Honeyguide leader, including holidays in the Balearics, Crete and French Pyrenees as well as Estonia. His degree, many moons ago, was in photography, and he is still a keen, now digital, snapper and very happy to help any photographers in the group. Ivan has recently taken a 'career break' having spent 31 years working for the RSPB in a variety of roles, most recently Learning & Development Manager. The Estonian Fund for Nature (WWF Estonia) runs volunteer camps to restore natural habitats. A current project is on wet meadows for black stork conservation. ELF stands for Eestimaa Loodude Fond. From our Estonia holiday in June 2017, £470 was given to the Estonian Fund for Nature (ELF). This helps to fund volunteer working camps to enhance the breeding habitat / feeding places of the black stork. The nest of one pair of the black storks being helped is on this webcam. The stork Eedi has a radio -transmitter, and his migration route is followed here. ELF web page, dedicated to the black-stork and its conservation needs here. A visit to Tallinn is also planned, if flight times make it practical. Above: Town Hall square, Tallinn. * One day earlier than dates in the brochure. FCO travel advice for Estonia here. 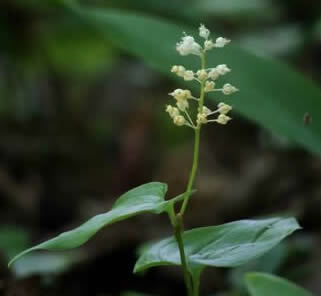 Wintergreens, an usual flower group. Estonia 2017 holiday report by Ivan Nethercoat. Brown bear - on the recce visit. 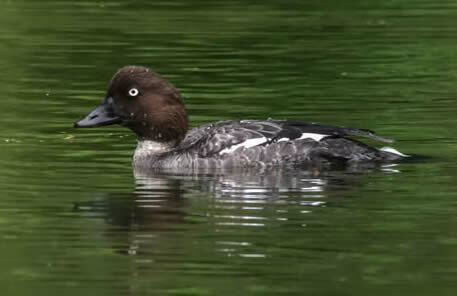 Female goldeneye: they breed locally, as do goosanders. Ivan Nethercoat's photos from June 2017 on flickr. Ivan Nethercoat and others' photos from June 2016 on on flickr. Photos from the recce visit (2015) by Chris Durdin on Facebook. Haeska islets and coastal meadow in Matsalu National Park, a view from a tower hide. Boardwalk into the taiga at Koreema. Ivan Nethercoat photographing Welsh poppies in the French Pyrenees. Photos on this page mostly by Ivan Nethercoat, others by Chris Durdin.